The cover of this month’s Preview magazine caught my eye. 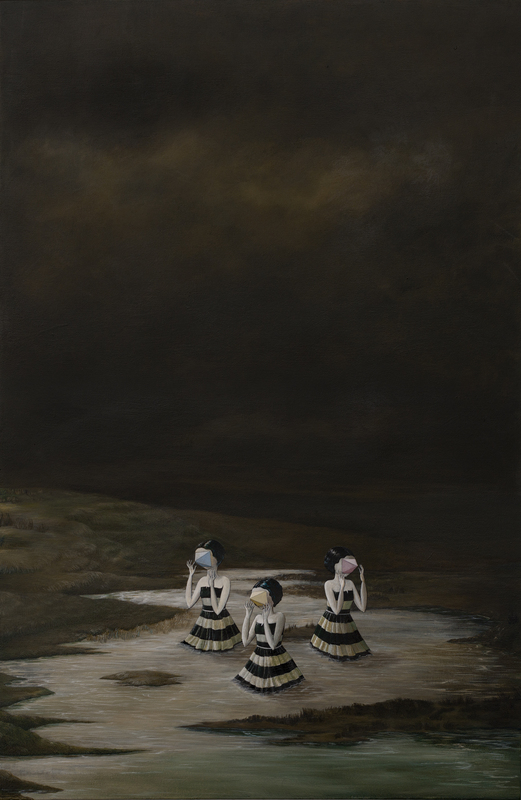 It features a painting from Rebecca Chaperon’s new exhibition at Grunt Gallery, Like a Great Black Fire. Intrigued by the enigmatic content of the cover piece, I headed down to Grunt to take a closer look.